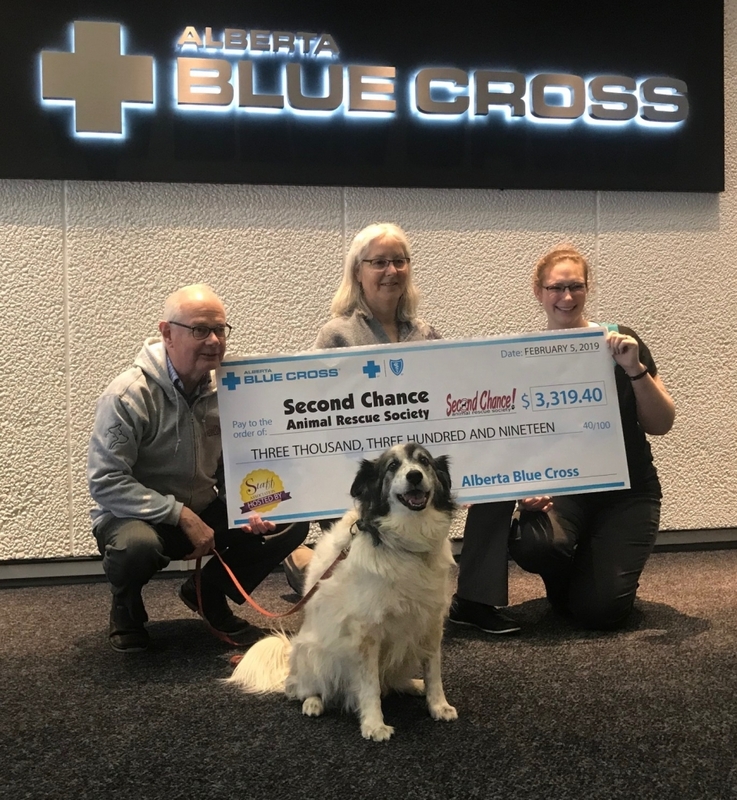 Thank you to the staff of Alberta Blue Cross. 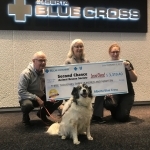 SCARS volunteer Mike Cunnington and SCARS’ dog, Eliza, visited them today on February 6/19 to pick up a cheque for $3,300! Their staff members pay so they can have a “casual Thursday” once a month. Each month the money raised goes to a charity. SCARS was their charity of choice for January!